I haven’t been posting very often this week because I’ve been working on some things for you guys to read this weekend. This one was kind of unexpected. I did not think I’d be doing a post on The Incredible Hulk series, but I’ve been watching this lately and kind of enjoying it, and thought I’d share it. I used to watch this when I was a kid, and the last time I watched it, was some re-runs when I was a teenager, so its been a few decades. I expected it to be hilariously cheesy, like most of the things I watched as a young girl, and it was those things, but it also had emotional depth, and progressive social messages, at least for the 80s. 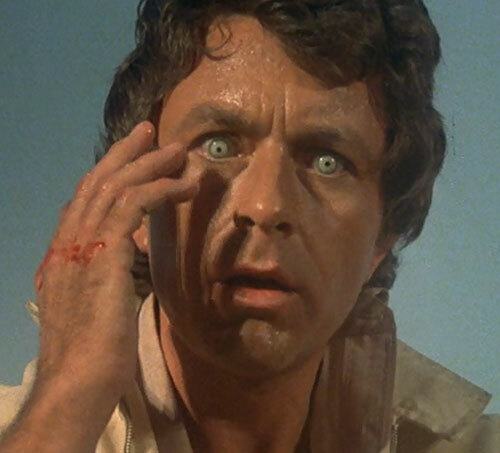 The Incredible Hulk television series lasted five seasons and starred Bill Bixby as Bruce Banner, and Lou Ferrigno as the Hulk. Recently the El Rey Network had a three day marathon of all 82 episodes and I watched a significant number of them and was inspired to review the series as a whole. How well does it hold up as far as acting, its messages, and its special effects? But also how well does it hold up to today’s standards as a show? The answer is: Surprisingly well. Bear in mind, that I had not watched this show in decades , but I was surprised to find myself becoming very engaged with the characters and messages, in some of the episodes. Once I got past a few plot points, and the 70s wardrobe, I was able to settle in and start liking the characters. By the fourth season the show was less earnest, and a lot more cheesy, especially in its search for new plots, but it still held up really well, even by today’s standards. 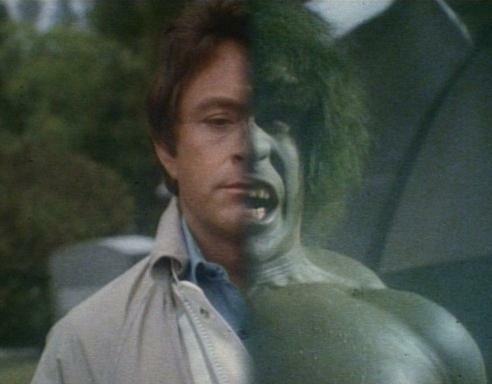 I like Hulk the series more than I liked either of the two films dedicated to him, although I prefer the villains of the films, rather than any of the villains of the show, who were often simply extremely petty criminals, who engaged in random thievery, various frauds, and some occasional street hooliganism. 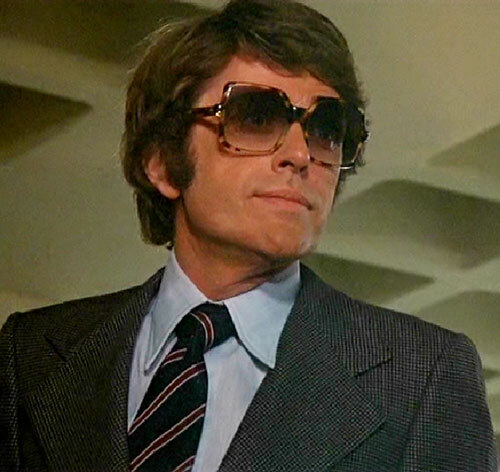 In the series, the character is named David Bruce Banner and is a medical physician, rather than a physicist, being pursued by a tabloid reporter named Jack McGee, played by Jack Colvin. I was under the impression that he was modeled afte Kolchak the Nightstalker, but the writers say that wasn’t their influence. Nevertheless, McGee comes from a long line of vexing antagonists, who like to merely hound and annoy the protagonist, rather than try to kill him. David hitchhikes around the country, taking odd jobs, and getting into various mishaps, which occasionally require the Hulk’s involvement. A lot of the episodes are not unlike Mad Max, or the Spaghetti Westerns of the 60s, (starring Clint Eastwood as the Man with No Name), who wanders into a town full of corruption, disrupts that story, and then leaves after everything is settled. On the surface these appear to be standalone stories, but the connective tissue between all the episodes is David’s search for a cure for the Hulk, and his constant pursuit by McGee. Like Mad Max, Banner often wandered into other character’s stories, although occasionally he did have a story of his own. Banner was a lot nicer person, though, who seemed to genuinely care about the events and people with which he became involved. 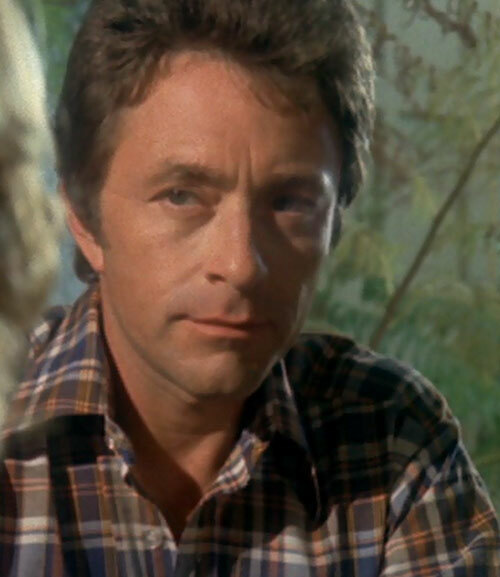 Bill Bixby is a remarkably versatile actor, and his firm, quiet competence lends a note of realism to what were sometimes ridiculous plots. Like the episode, Prometheus,where Banner has to help a blind woman lost in the woods, near a fallen meteor. He is attacked by a swarm of bees, triggering a transformation into the Hulk. Afterwards, affected by radiation from the meteor, he can’t fully transform back into his human state. The acting from the blind woman, played by Laurie Prange, is atrociously over the top, but Bixby, is his usual calm self. I ended up taking quite a number of plots very seriously only because Bixby was so good at what he did, it didn’t occur to me to laugh at them, like the episode where David is held hostage at a private island, and forced to attend a costume party, or the one where three escaped female prisoners kidnap him, and one of them goes into labor. There’s the episode Alice in Discoland, which requires Banner to be undercover at a discotheque, where he meets, and has adventures with an alcoholic young woman. The plot sounds pretty stupid, and on the surface it is, but once you get past the horrible costumes, and dancing, it manages to deal seriously with the subject of alcohol addiction. On occasion, the show dealt with heavy subjects, like police corruption, drug addiction, greed, and PTSD, with a great deal of respect, and surprisingly little preachiness. A recurring theme though, was the young blond damsel, who has been put in distress by some family member trying to kill them for power, or money. In the episode starring Lou Ferrigno, as himself, in King of the Beach, Lou plays a deaf man seeking independence from his parents, and hoping to open his own restaurant, by trying to become a famous bodybuilder. Lou Ferrigno himself is deaf, and a champion of Deaf people’s rights. (Incidentally, he is still alive, and looking pretty good for a 53 year old man.) On the surface, King of the Beach sounds silly, and there are some silly moments, but Ferrigno’s character is always treated with respect and dignity, and the subject of his disability is not the main plot. He’s allowed to speak for himself, and articulate his own problems and issues. At no point is Banner placed as a White Savior. Ferrigno’s character is allowed to make his own decisions, and his disability is just part of the character, and all the other characters adjust to it, finding it unremarkable. I think the silliest part of the show, and the part I couldn’t help laughing about most often, is that Banner is sort of required to turn into the Hulk at least two or three times per episode, even if some of these transformations are a bit of a reach. After about the fourth season, just about anything could set him off, as the writers had to keep coming up with new ways to make Banner get angry or stressed. In the beginning of the series the threats were a little more dire, like being buried alive in cement by mobsters, or perhaps a car accident, but by the end of the series, the writers had to stoop to Banner getting stung by bees or getting thrown into some bushes. And while these two events are certainly stressful, you can tell the writers are getting just a bit hard up for reasons that Banner should Hulk-out. There’s also the fact that Banner really does need to learn some defensive tai chi or something because it’s just waaay too easy to beat him up. One interesting point is that as the series continued, it did get a little harder to predict when he would transform into the Hulk. In the first couple of seasons it was fairly predictable. I do want to discuss the roles of the women on the show. The show featured a lot of women,and in a lot of different types of roles. Although, sometimes they were damsels, they also showed up as villains and schemers, scientists, show girls, single women, wives, mothers, sisters, etc., and their status wasn’t always a part of the plot of an episode. In one of the episodes, King of the Beach, the lone woman in the story started out as a grifter, who later becomes a trusted friend, and business agent, to Lou Ferrigno’s character. No, the show didn’t pass the Bechdel test very often, but it had no problem depicting women as flawed and complicated human beings. I found it interesting that there were a lot of women scientists featured on the show, who were smart and capable, and not necessarily love interests for Banner, although they did occasionally need rescuing. 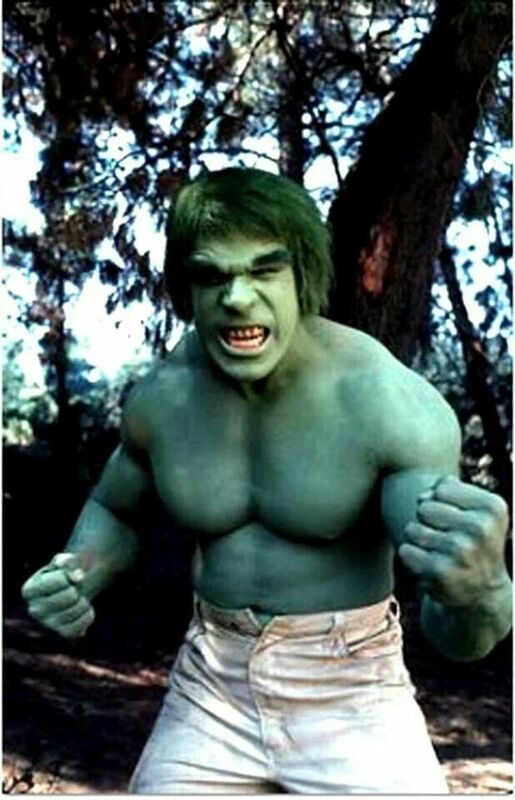 Lou Ferrigno turns in a surprisingly nuanced performance of the Hulk. He got to engage in some emoting. You would think the role would only require some growling, yelling, and throwing things, and sure, there’s plenty of that, but there’s also some emotions in there too. He gets to have reactions to people and things that isn’t just anger. It’s a bit different from any of the movie versions of the Hulk, and not much like comic book versions. This Hulk doesn’t speak, but I understand that was a deliberate choice by the creators. The amount of violence the Hulk engages in is pretty low scale. He likes to toss people around, and sometimes a vehicle. I’m guessing that’s because of budgetary reasons. He rarely if ever punched anything or anyone, and there was never any blood, and that would have been due to violence restrictions on television, at the time. He also gets a lot of cardio in that he runs away a lot. There’s still the mystery of the stretching pants, which is something fans have been asking themselves about for years. What is funny though is that every now and then while watching old TV shows like this, I become aware of how different the show would be if today’s technology existed then. While watching an episode I’ll think ,”Hey, that wouldn’t have happened if he owned a cellphone.” Or ,” Now you could just Google that!” From time to time, the Hulk would go running through the streets of Chinatown, or New York, and I can’t help thinking that McGee’s job would’ve become obsolete because he would’ve just been able to watch cellphone videos of it on YouTube. Overall though, I had a pretty good time watching the marathon, and not just for the nostalgia. Once you get past the surface stuff, the show has a certain amount of depth. Banner’s situation is always approached with compassion and respect, and most of the humor arises out of people’s reactions to the Hulk, never because Banner, the Hulk, or his patron of the week, are being mocked. Most of us remember the show because of the theme song, a tinkly piano tune called “The Lonely Man”, and the show’s opening voice-over, which went a long way towards eliciting sympathy for Banner. 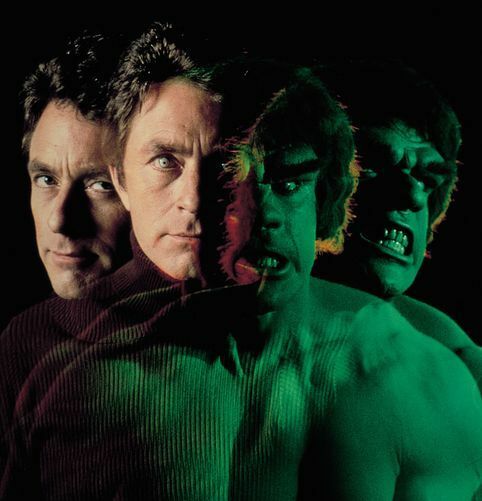 There have been a lot of iterations of the Hulk, from Eric Bana to Edward Norton to Mark Ruffalo, but the Bixby/Ferrigno version is still one of my all-time favorites. Before I was married, my roommate and I watched this show. He and I used to kid each other by saying “turn green” whenever something frustrated us. Thanks for the flashback. You just brought back great memories! I loved the Hulk TV show and never really liked any of the movies as much! Its still worth looking at if you can catch it on air or on Hulu. I didn’t consider it a waste of my time.